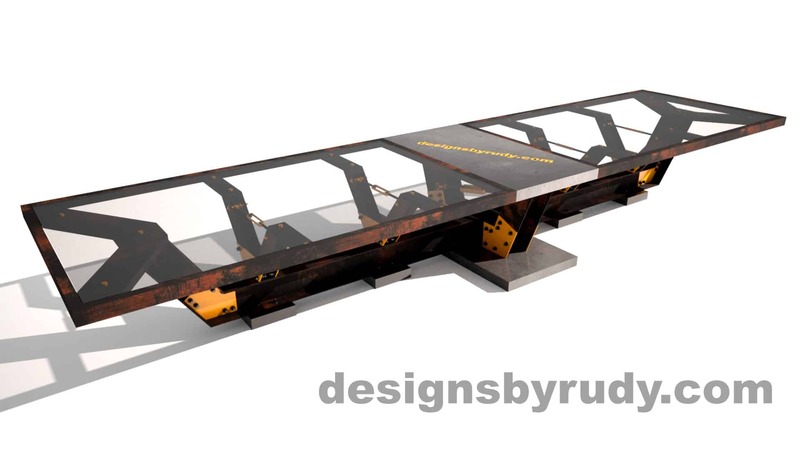 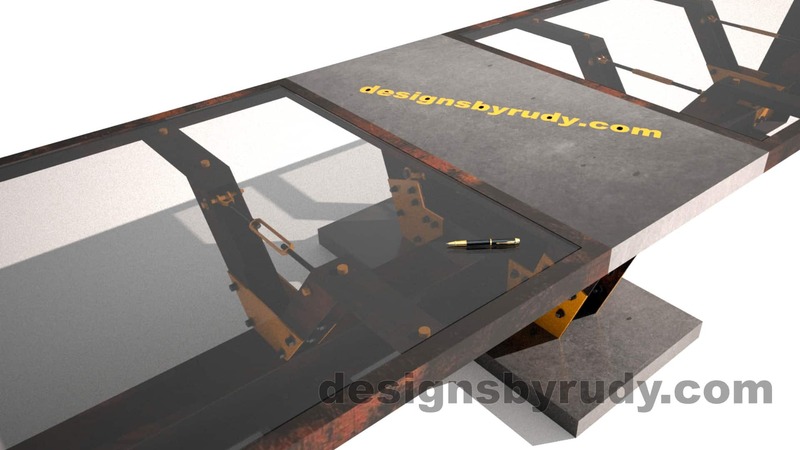 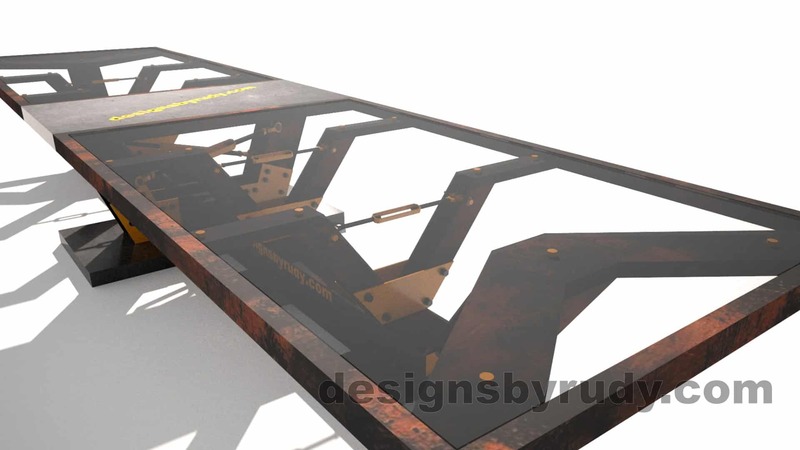 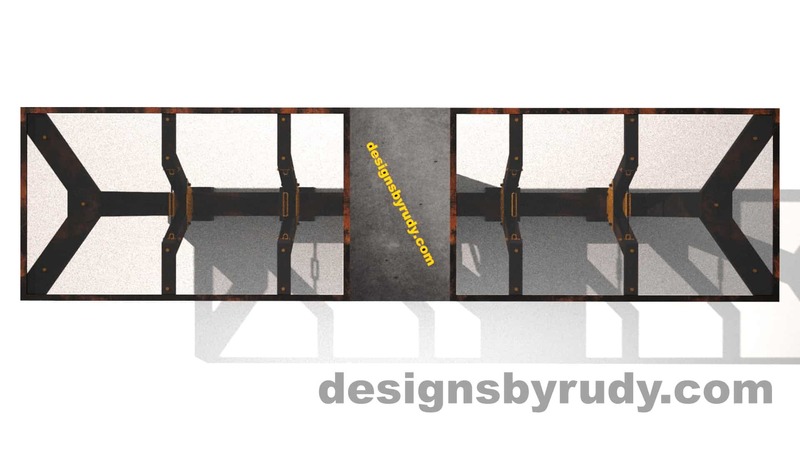 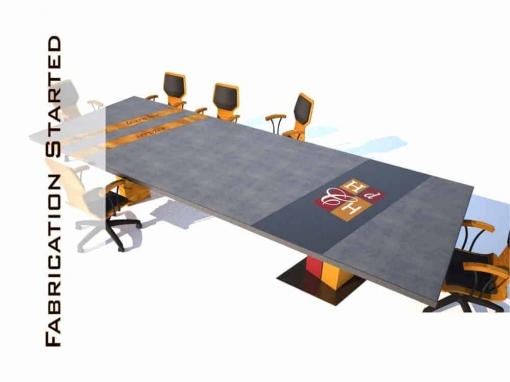 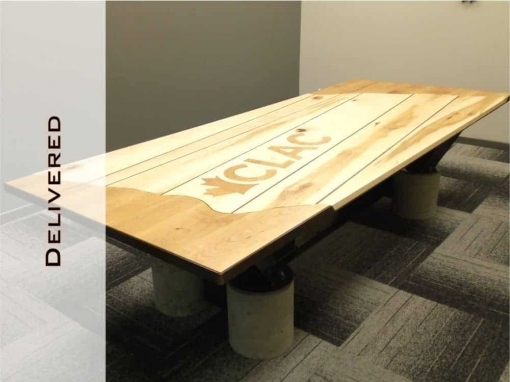 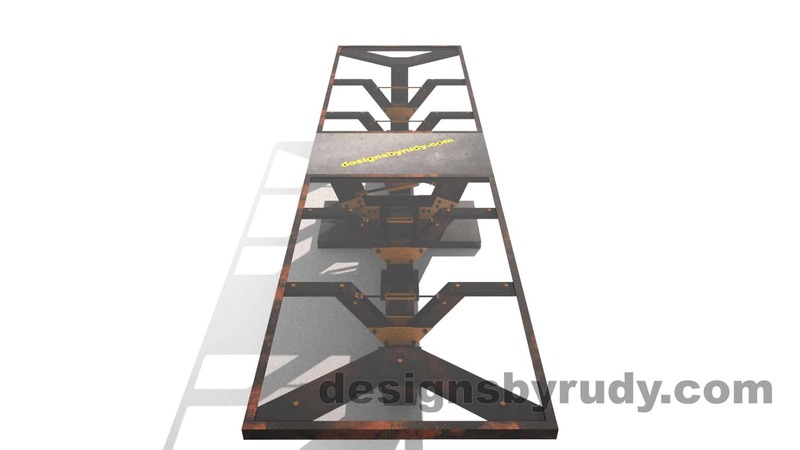 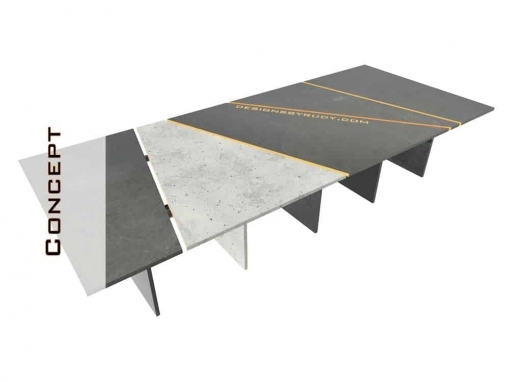 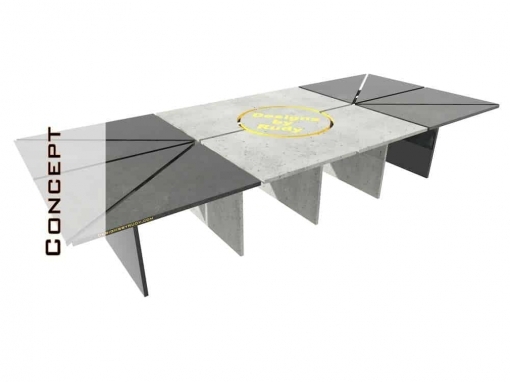 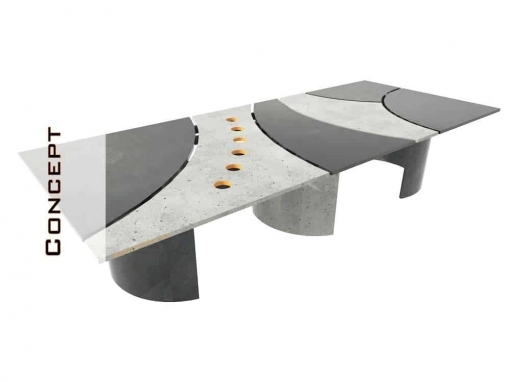 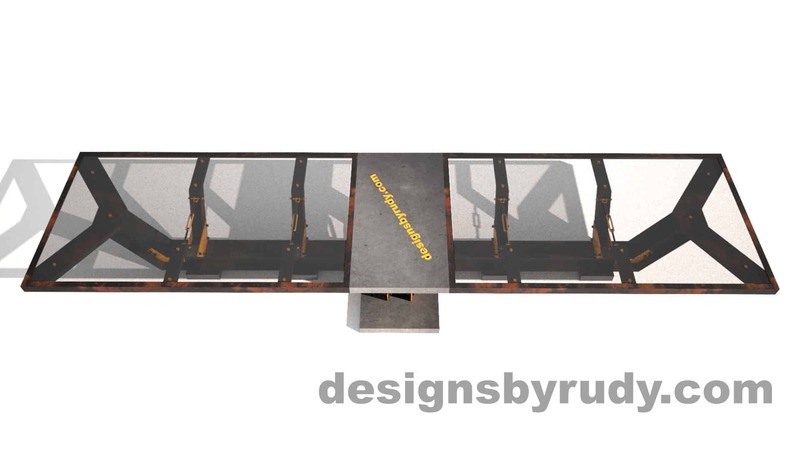 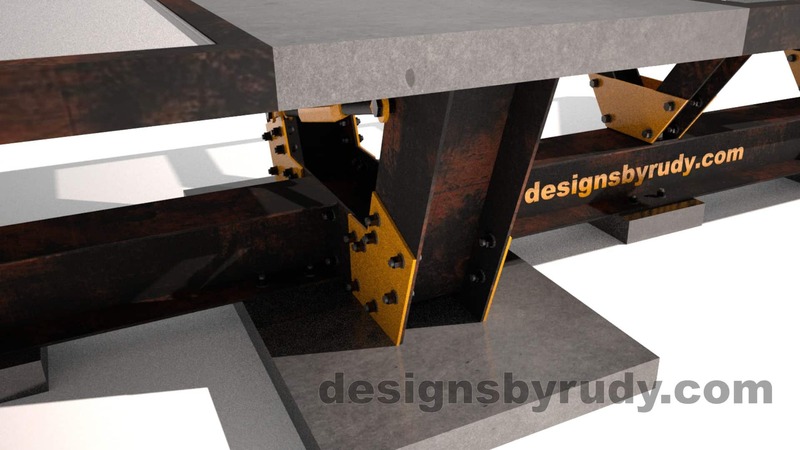 Slightly altered design of my Northbank concrete conference table. 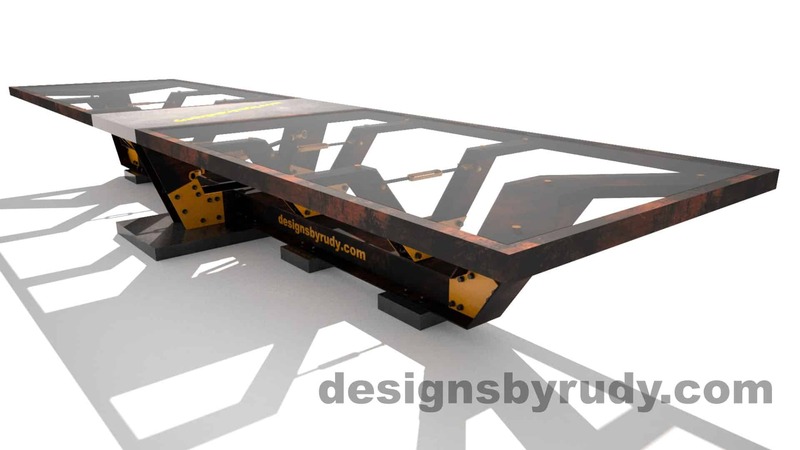 This one can be appreciated in its entirety (top and base) even when fully occupied, I just got rid of the concrete top slabs. 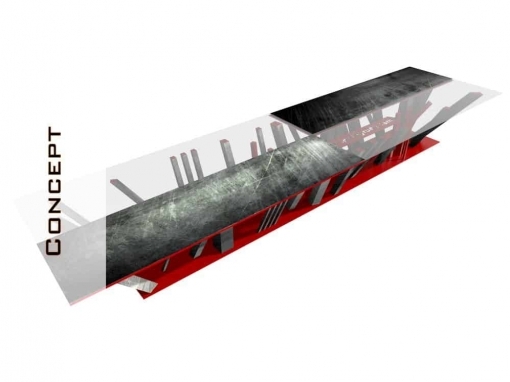 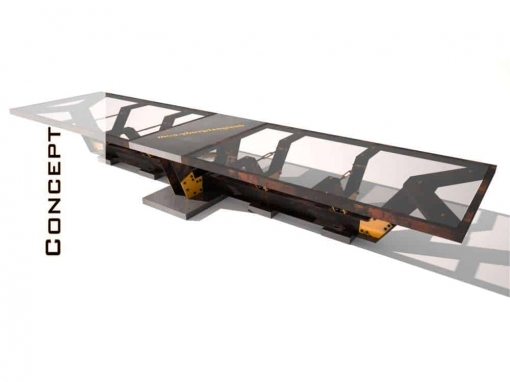 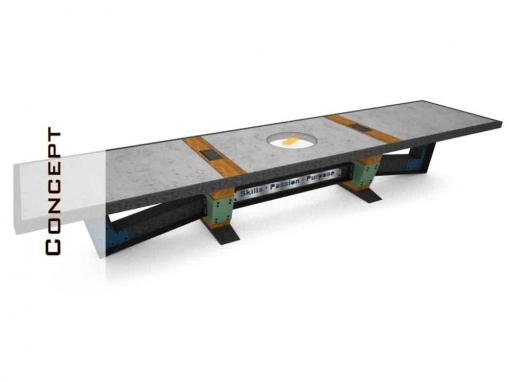 Replacing concrete with ½” thick tempered glass sheets exposes its entire steel framework. 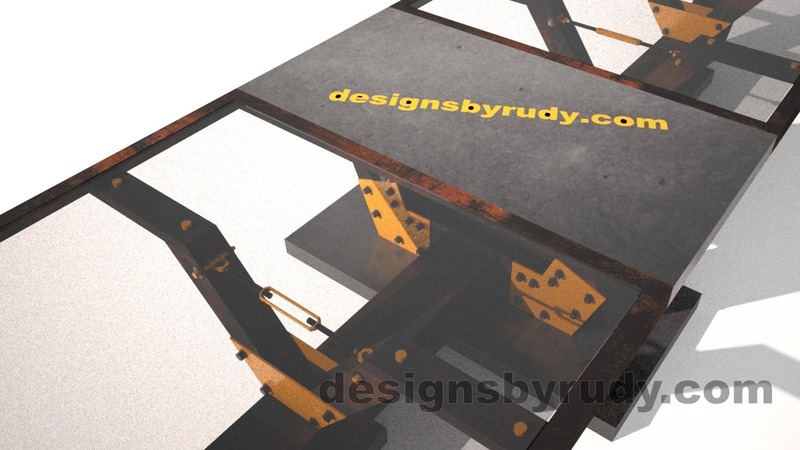 The previously skewed center section and a steel logo plate has been replaced with concrete and could contain embedded company logo, name, slogan, and/or AV-charging ports. 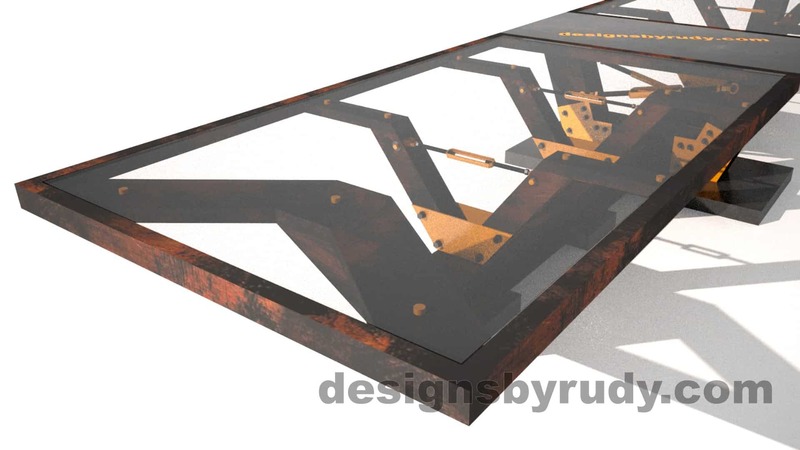 The wiring can be also hidden inside the frame/glass supports and accessible from underneath without disturbing the design. 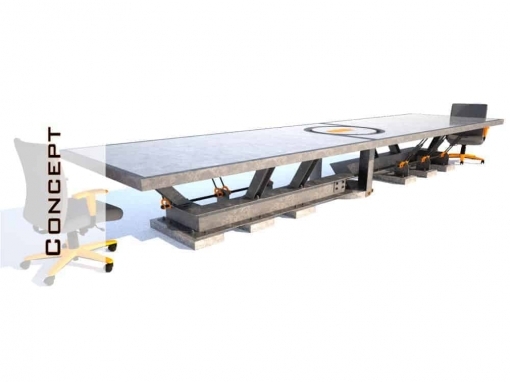 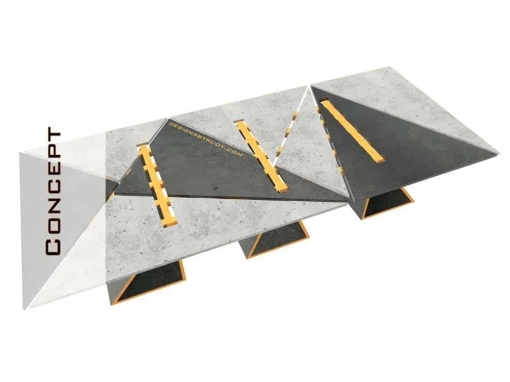 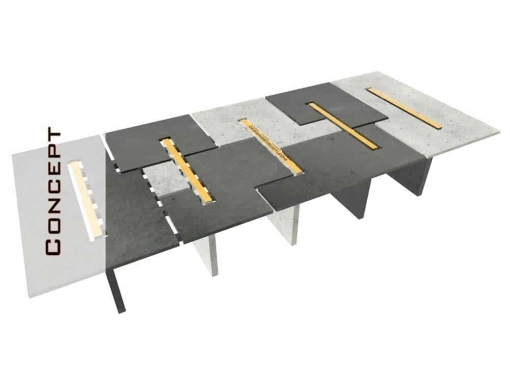 The table’s structure rests on 5 concrete blocks, one large, rectangular piece that also acts as counterbalance to the entire table, and 4 additional 12”x12” square blocks supporting each of the I-Beams (two on each side). 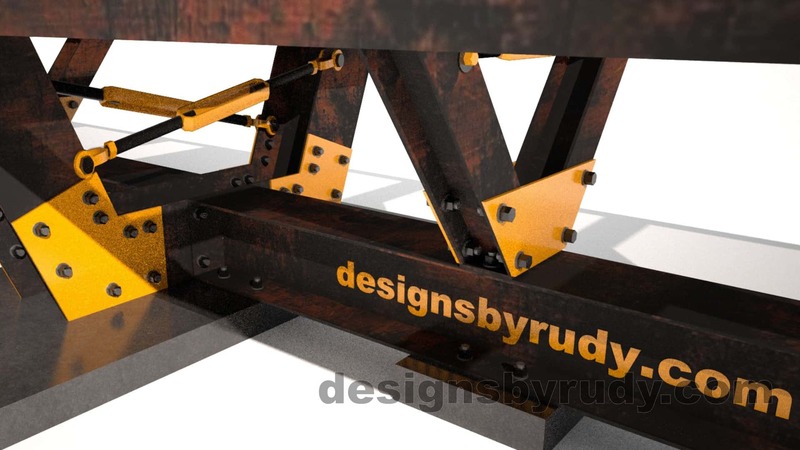 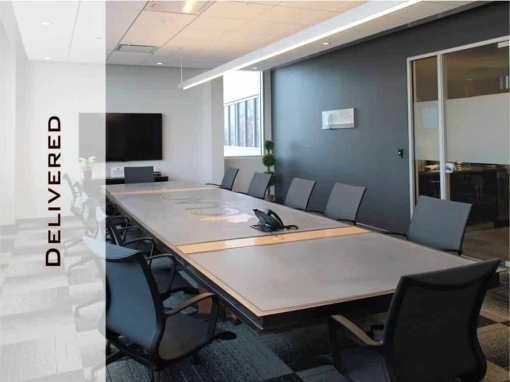 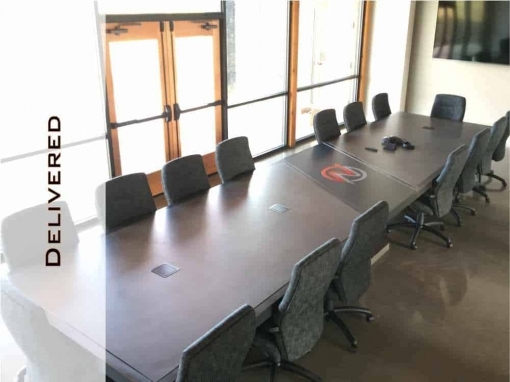 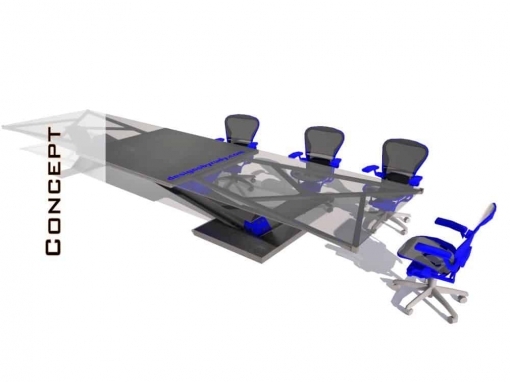 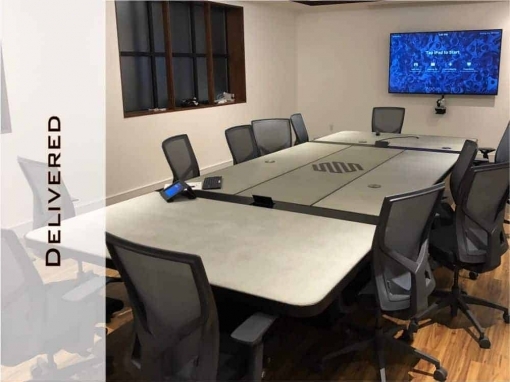 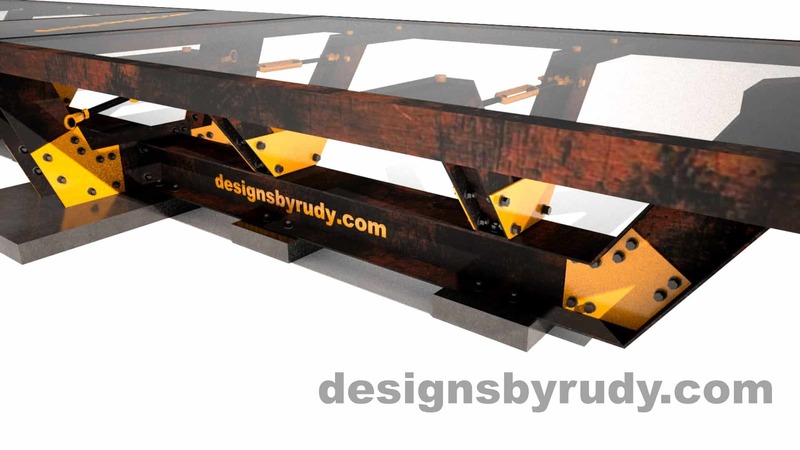 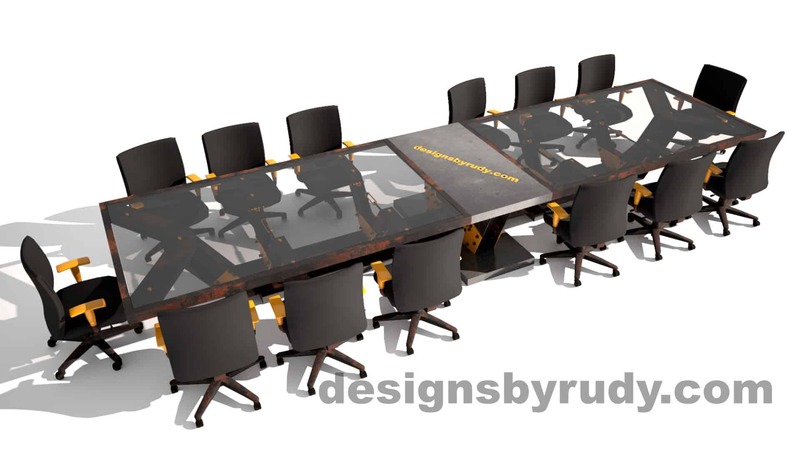 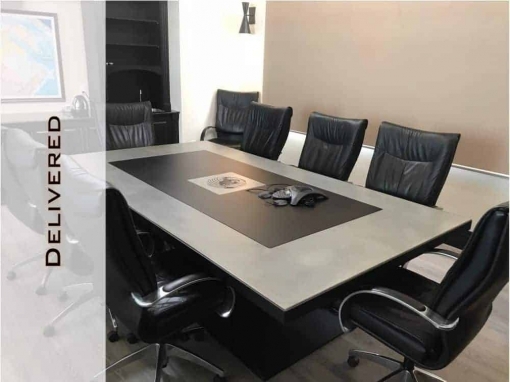 Color accents matching your company colors and a steel frame finish of your choice… give me a call – Darek @ 847-281-5131, and let’s WOW everyone invited to sit by this table.